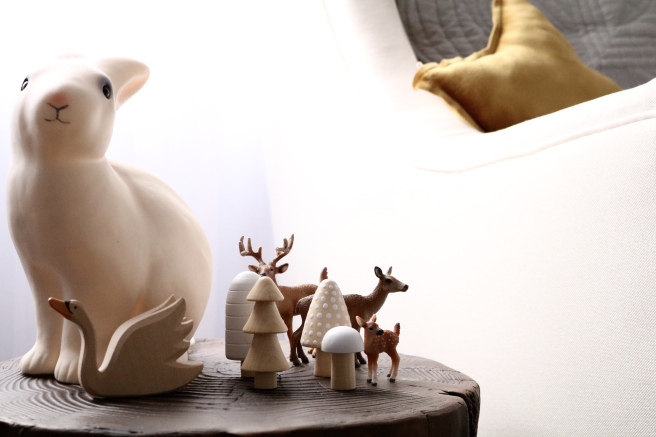 Whether you’re welcoming a little cub into your tribe or have a bunch of little monkeys, the animal theme is a great way to decorate a nursery or bedroom. While in the past the animal theme might have involved cartoonish characters and bright colours, the influence of the Scandinavian style has seen a more pared back look. The result is a room that kids will love, while creating a space that you want to spend time in and that can change as your little cub grows into an inquisitive tiger. These gorgeous spaces will inspire you to adopt your own furry or scaly or fluffy creatures for your child’s bedroom. Going to bed will be so much easier when surrounded by sweet little sheep to count. The sheep print and felt wall hangings are complemented by the gorgeous fluffy white cloud wallpaper. The whole look makes you want to curl up and fall asleep. This look avoids looking like a sheep station with the addition of a few other friendly animal faces, including the Maileg bunnies and a basket of soft teddies. The overall grey and white colour tone creates a relaxing space that’s all about Scandi Australiana. If you go down to the woods today you’re sure of a big surprise. 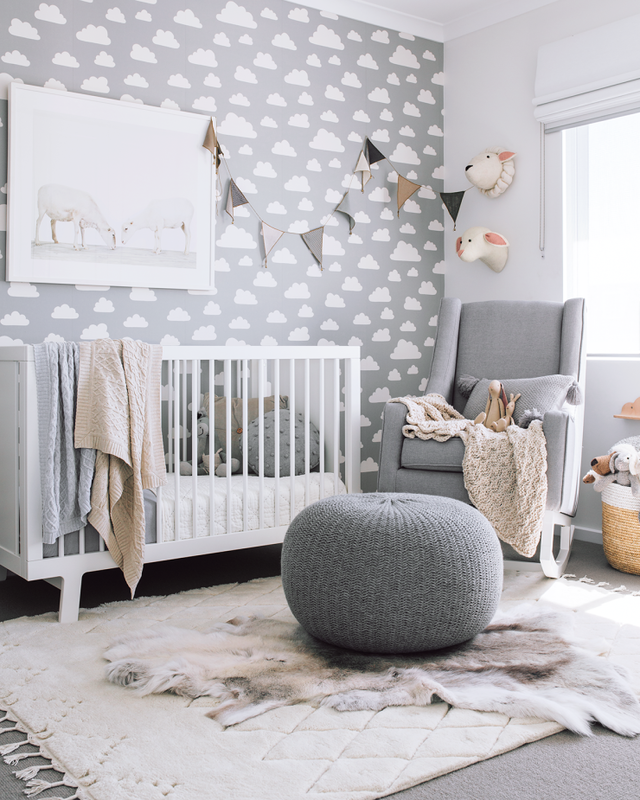 Or at the very least a sweet nursery style inspired by our forest friends. This woodland themed is a modern take on the traditional Disney cartoon nursery and it includes lots of neutrals including mustard, grey and crisp white. It’s perfect if you want to have aspects of baby stuff, while giving you scope to change things as your little one grows. Lions and tigers and bears – oh my! 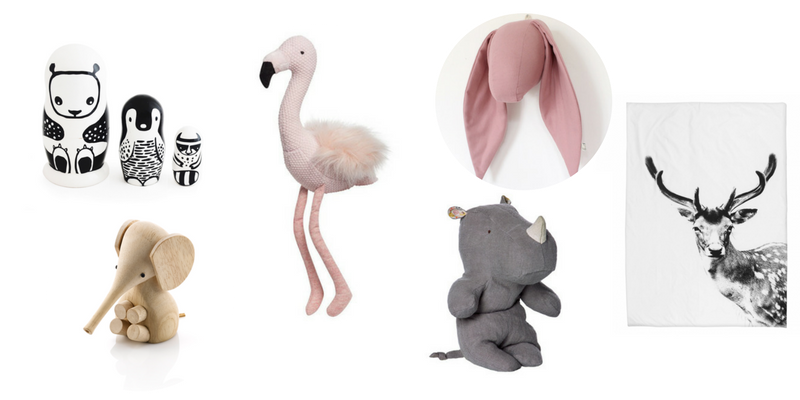 Bring the plains of Africa into your little one’s bedroom with a fun safari-theme look. While elephants and giraffes may not hang out together in the wild, in this bedroom they’re the best of friends. Meanwhile, the cheeky monkey print hanging over the bed is an appropriate reminder of the mischief little toddlers get up to. No animal does the black and white look better than a panda. 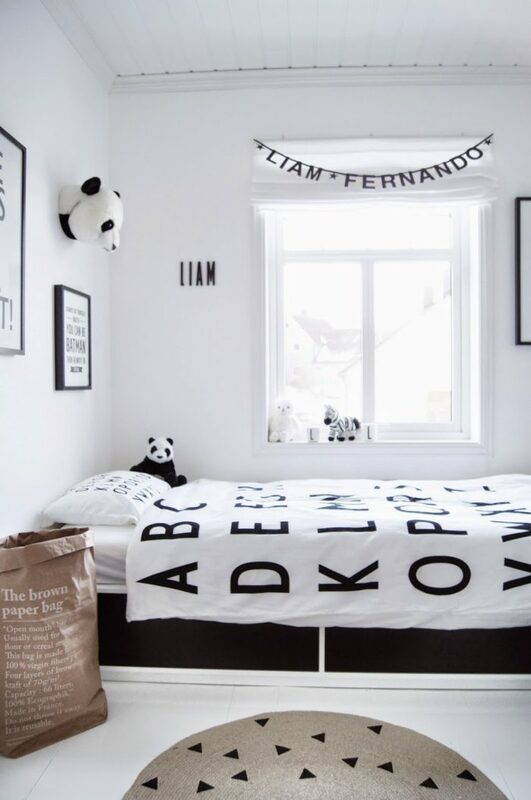 Let these cuddly bears inspire your next bedroom and create a monochrome space for your little one. Black and white is what it’s all about in this bedroom, that features a few panda bears, along with a friendly zebra or two. Dive under the waves with a calm bedroom inspired by the deep blue sea. 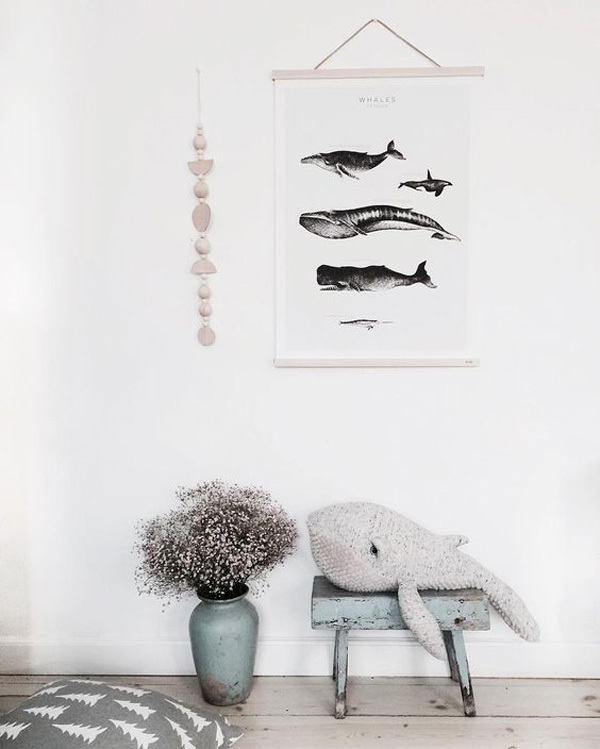 Even the biggest creatures can find a home in a small bedroom, like this cuddly blue whale and his sea friends. First, of course, is to pick your animal theme. You can go with a specific region – such as Nordic animals like penguins, polar bears and wolves – or something a bit more general like woodland, zoo animals or under the sea. Also consider your overall colours and theme. The Scandinavian style generally incorporates lots of grey, white and light wood; but you can also combine the animal theme with monochrome or even pastels. Consider how you will incorporate your theme. If you want to be able change the look of your kid’s bedroom as they grow, avoid more permanent elements like wallpaper or furniture and instead bring your theme to life through wall hangings, bedding and small decorations.